Purple/Violet Owl Mug, 12 oz. 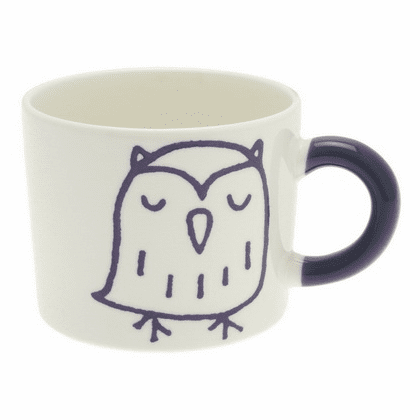 Home | Ceramic Tea Cups & Mugs | Ceramic Coffee & Tea Mugs | Variety Design of Mugs | Purple/Violet Owl Mug, 12 oz. Purple/violet owl on both sides of the mug. Can be used as a soup cup, coffee and tea. Microwave and dishwasher safe. Holds 12 ounces, 3-1/8" tall, 3-7/8" in diameter.